"Holy crap," breaths Emmie, as they scramble back, hopefully unseen, into the hallway. "That was so cool!" says Amie. "We did it! In and out! Just like we said! We saved all those people! High five!" 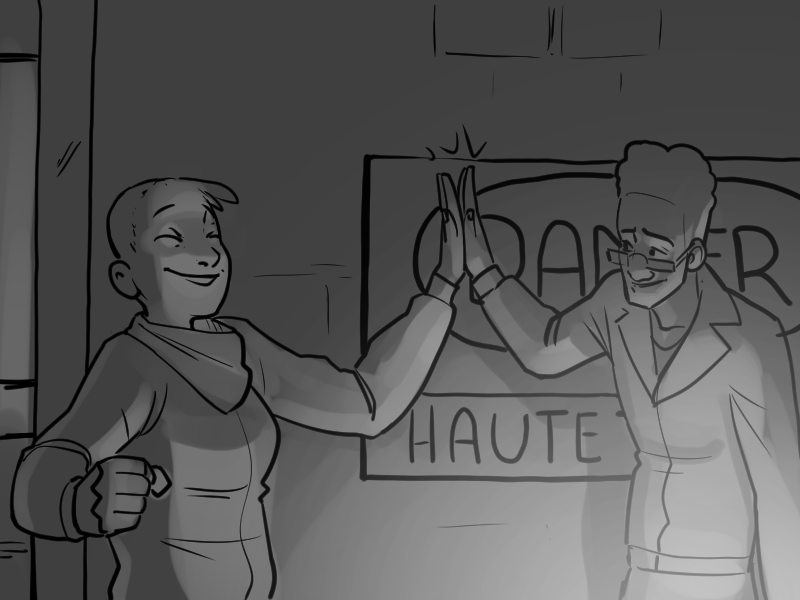 Emmie, to his considerable credit, manages to raise a hand up and accept her enthusiastic high-five. "I never, want to do, anything like this, again," says Emmie, breathing hard. "Ever."